The Workplace Constitution: From the New Deal to the New Right. BySophia Z. Lee. New York: Cambridge University Press, 2014. xiii + 401 pp. Illustrations, bibliography, notes, index. Cloth, $42.92; paper, $29.99. 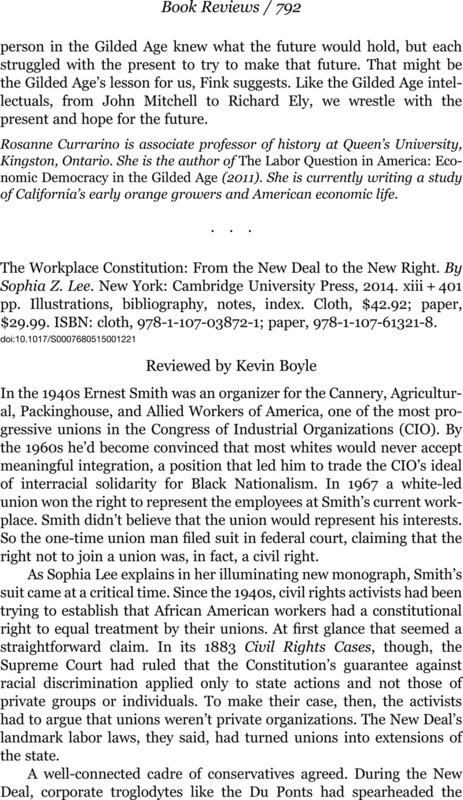 ISBN: cloth, 978-1-107-03872-1; paper, 978-1-107-61321-8.